Here’s my bookshelf of interesting books for your consideration. 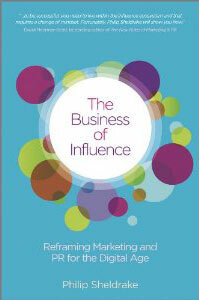 Recommended reading for the influence professional. Most, but not all, are referenced in The Business of Influence. This list doesn’t aspire to be exhaustive of course, and please do let us know if you have any recommendations – texts relating to the topics encompassed by the Influence Scorecard and specifically to other parts of organisational life beyond marketing and PR – customer service, sales, operations, procurement, product development, HR etc.